Sexuality and western animation where never really two things that went hand in hand. After all in the West many strictly see animation as something for children. Though there have been some exceptions the most prominent two being the Simpsons with “Homers Phobia” and the finale of “Legend of Korra”, even with the latter it was more implied than said. It’s very sad that we are only now coming into a world where LGB characters are becoming more prominent, and yes I left the T out of LGBT because lets face it Trans characters are woefully underrepresented and misunderstood by our media, though I guess that is a fight for another day. A fight that needs to happen sooner rather than later. So why am I discussing LGBT characters in general, well in recent years there has been a big push to incorporate people of differing sexuality’s into live action TV shows, all with different degree’s of success. We have yet to see this happen in an animated series. 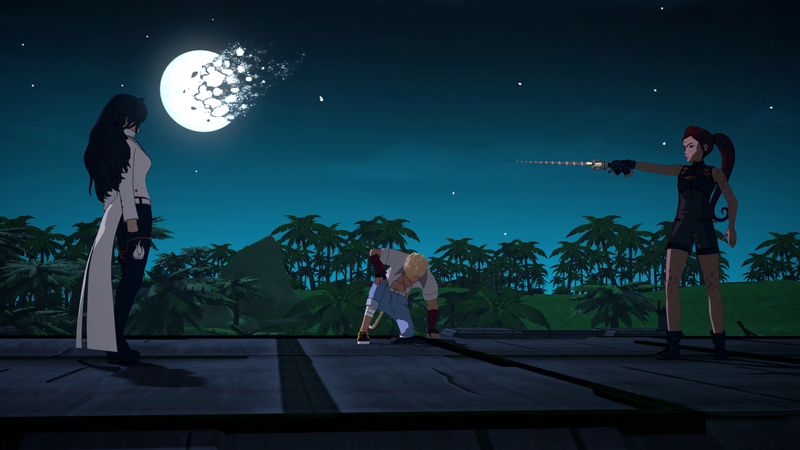 With RWBY it seems to me that we may have two main characters who will be coming out. 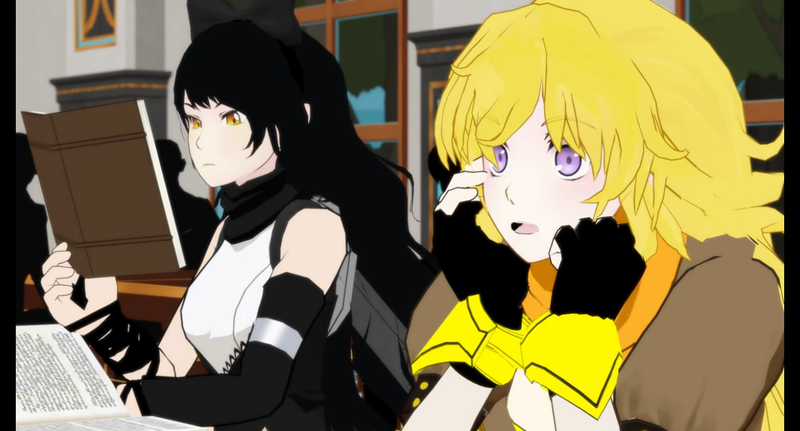 It has long been assumed by many fans that Yang and Blake will eventually be a thing, even with the fans dubbing it “Bumblebee”, there is a lot of fan fiction and fan art that really pushes this. Readers do not go down that rabbit hole, but more than the fan’s, the two actresses that play the roles are both in favor of the characters being together. 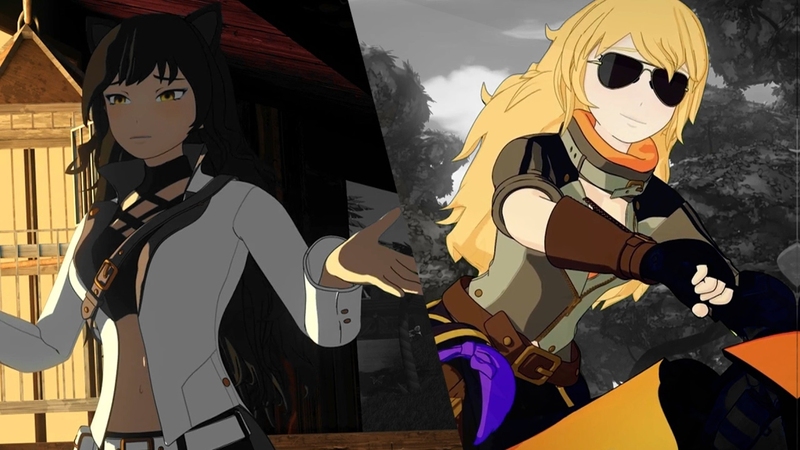 In past seasons fans have pointed to some of their dialogue, their dance together, the fact that they made a team instantly, even Yang supposedly wearing glasses so she could “choose” her team mate. Then came Adam, Blake’s psychotic Ex, who told Blake he was going to take everything she loved, as he went in for the kill with Yang. Where in season 1 to 3 we saw their relationship grow it has been in 4 and 5 that we have had to look at what is not there. The two seem to be almost broken hearted at their absence from each other. Though some might argue that Blake is meant to be with Sun, her current partner with their similar background and powers would lend some logic to this theory. But I counter it by asserting that having all these things in common would just as easily make them good friends. 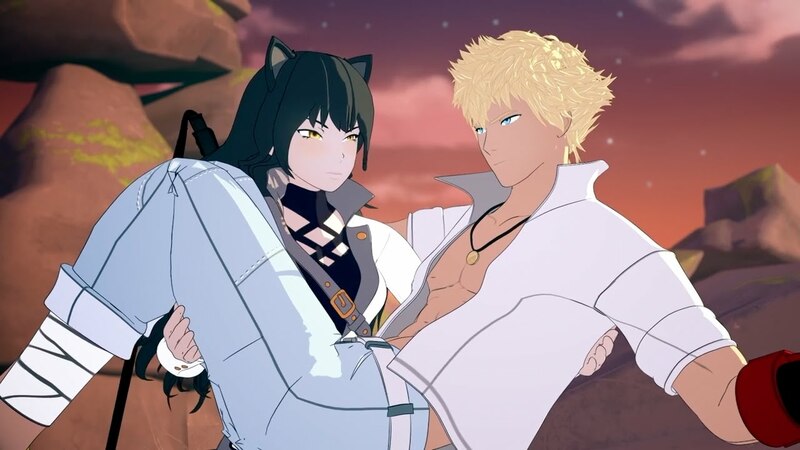 Don’t get me wrong, I would feel sorry for him if Blake chose Yang, the dude seriously has a crush on Blake and is willing to stand by her no matter what. But you might look at Sun as a way for Blake to come to terms with who she is, just like Yang had to redefine who she is through dealing with her parents and her past, Blake has had to do the same. When she took Sun to her home and began to open up and explain her past before confronting it. I mentioned earlier the heartache that existed between the two characters, but Yang flat out admits she loved her and felt betrayed by her. This could just as easily be as a friend or a lover but Yang’s very strong feelings on the topic would lead one to believe otherwise. A long with this comes the fact that Blake’s former friend Ilia Amitola confessed her love for Blake, a love which has now turned dark and violent, perhaps this is the first hint that Blake may be Bisexual. 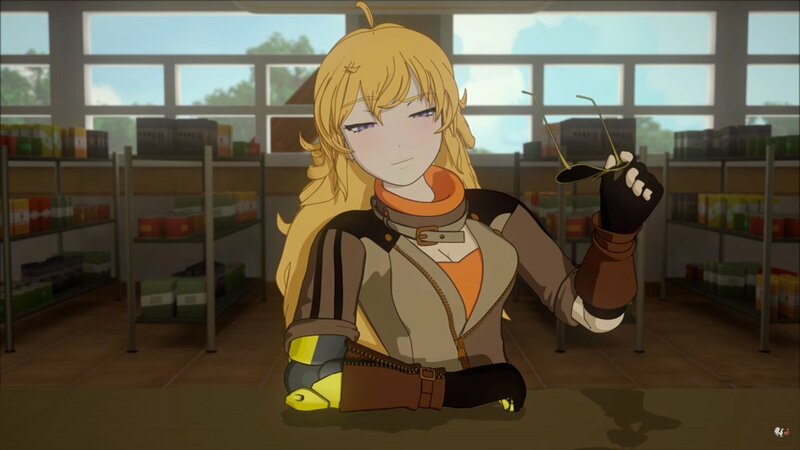 As for Yang, she is a free spirit who does what ever pleases her, even if their world had a stigma against homosexuality I highly doubt that Yang would care. Though I wonder how their world feels about human/faunas relations? In the end Yang does love Blake and Blake loves Yang, we just don’t know the extent of that love yet but still many fans like myself are pushing for a Yang and Blake relationship.